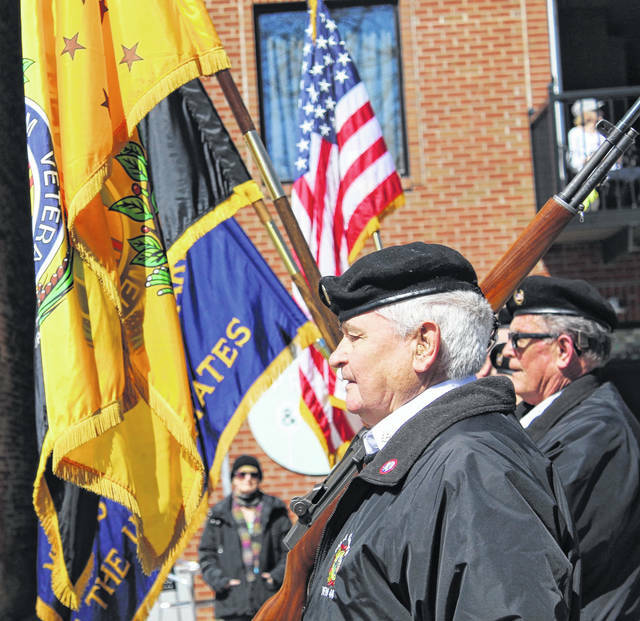 With the Gallipolis Police Department leading the way, the VFW Post #4464 Honor Guard carries the colors and begins the St. Patrick’s Day Cultural Parade in Gallipolis. 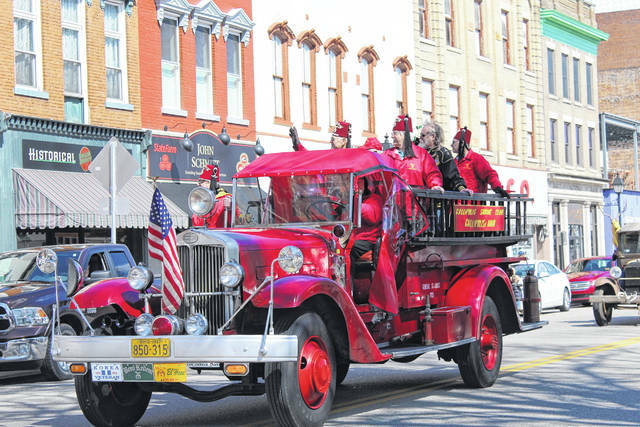 The Gallipolis Shriners and their mini cars are always a parade favorite. A shamrock from Need A Lift Transportation. 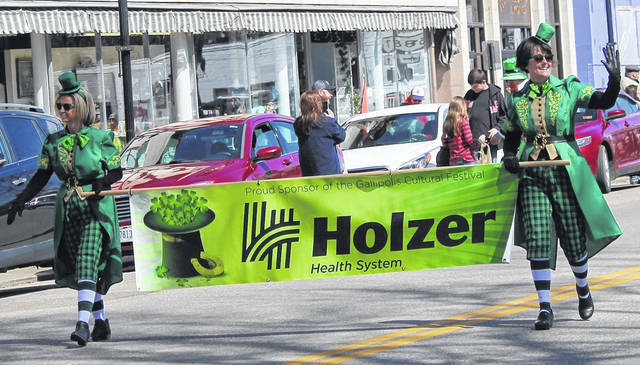 Employees and representatives from Holzer Health System walk in the parade. 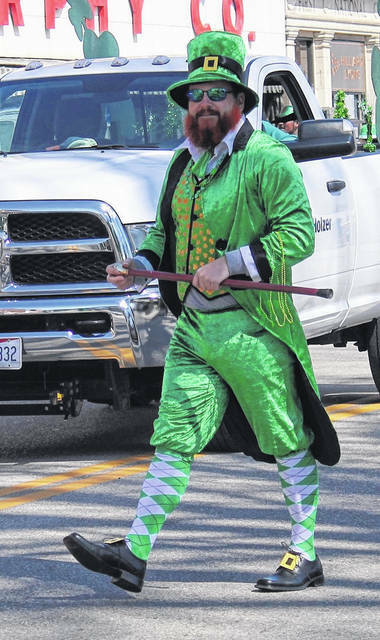 Everyone was following this leprechaun on Second Avenue. 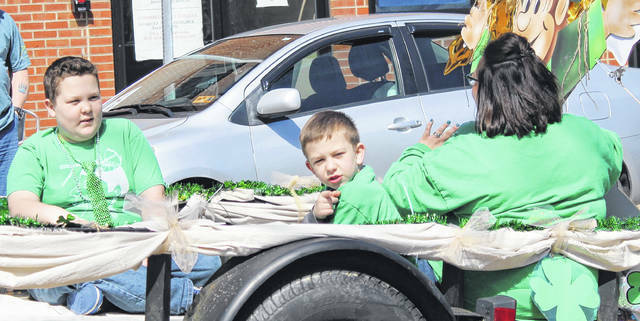 This young man was sure to wear his green in the parade. Holzer Health System representatives get in the holiday spirit. The familiar banner of the St. Patrick’s Day Cultural Parade. 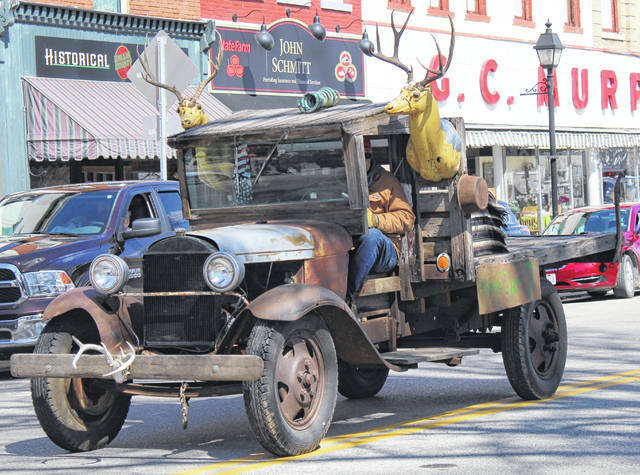 Two deer heads and some duct tape were sure to make heads turn, and smiles appear, when this vehicle appearead on the parade route. 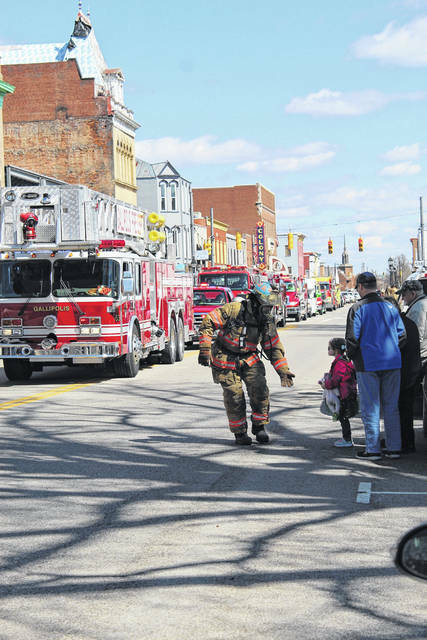 This fireman gave children “high fives” along the parade route, leading a long line of first responders in the parade. 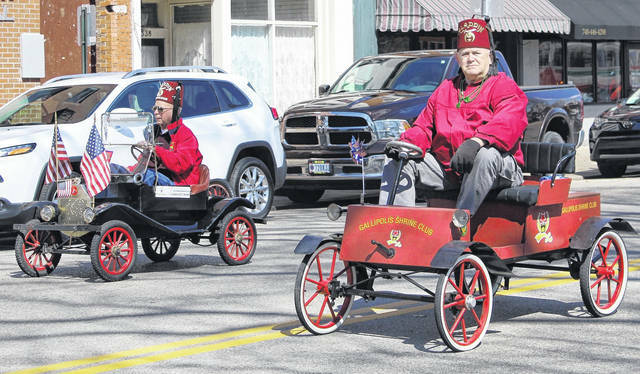 Members of the Gallipolis Shrine Club. River Recreation Festival Queen Sydnee Runyon shows support for the parade. 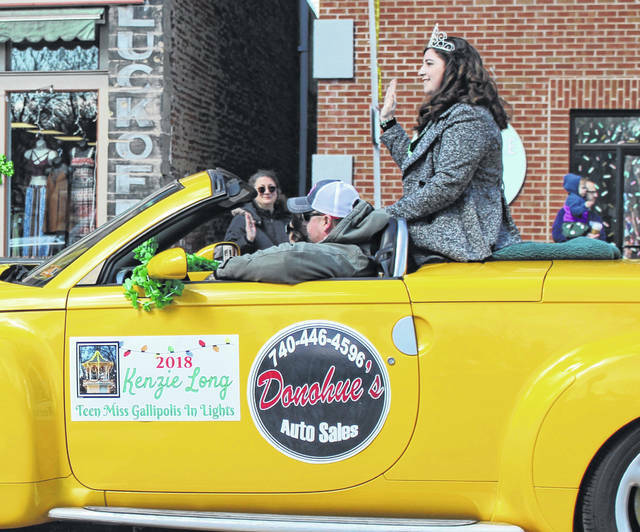 Teen Miss Gallipolis In Lights Kenzie Long supports the parade. 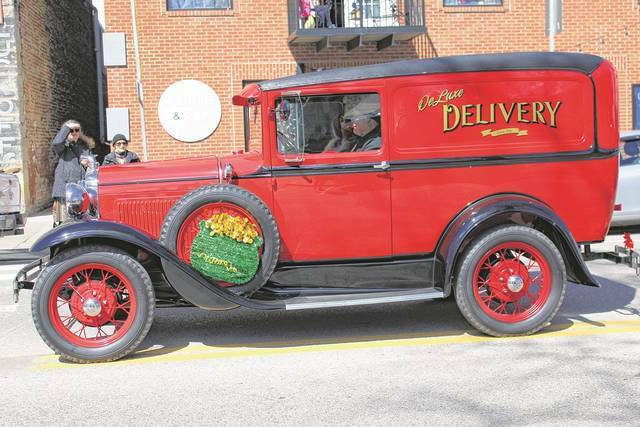 This antique vehicle makes a St. Patrick’s Day delivery. 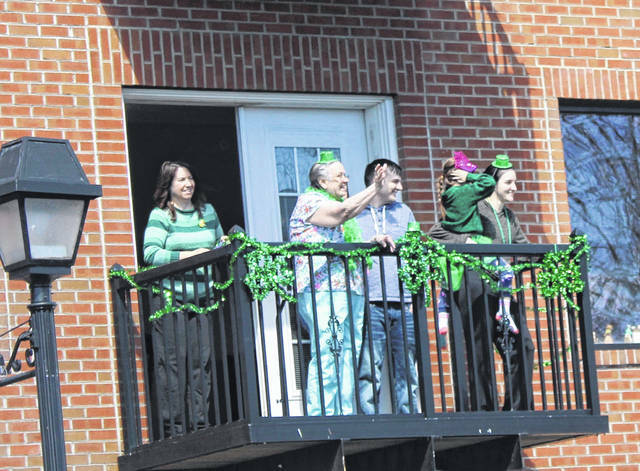 Local residents celebrate the St. Patrick’s Day Cultural Parade from their balcony on Second Avenue. 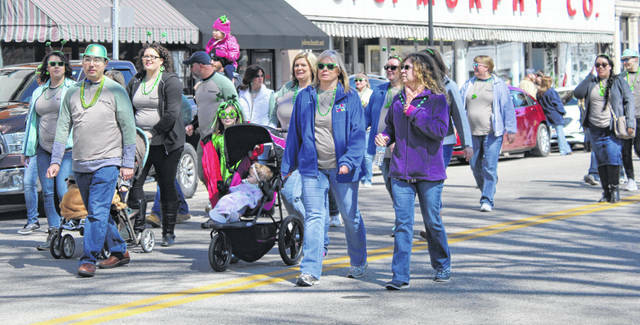 GALLIPOLIS — Everyone is technically Irish in downtown Gallipolis when the annual St. Patrick’s Day Cultural Parade takes place, the only parade of its kind in the readership area. 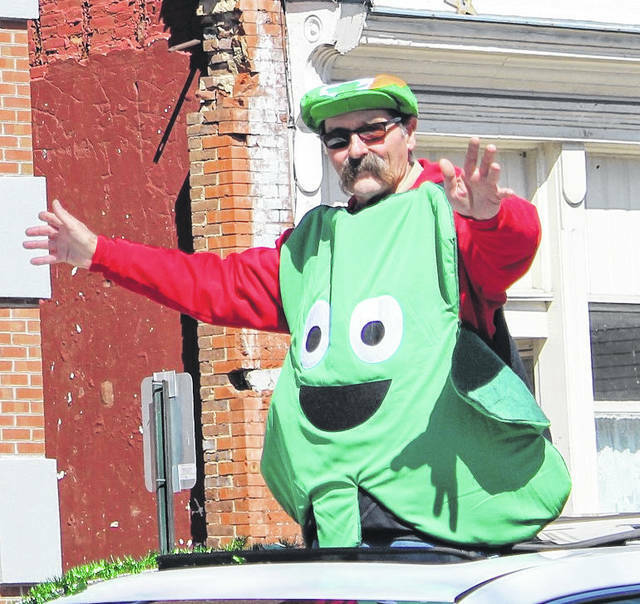 The fifth annual parade stepped off last Saturday on Second Avenue, full of leprechauns, pageant queens, Shriners, first responders, a shamrock, antique cars, roller derby athletes and a vehicle with two deer heads duct-taped near the windshield. Organized by The Artisan Shoppe in Gallipolis, it’s meant to celebrate not only the Irish, but cultures and people from everywhere. The inclusive celebration is also a fundraiser to support cultural arts non-profit work in the community by The Artisan Shoppe. The parade was started by Kelsey Kerr and her mother Valerie Thomas, of The Artisan Shoppe, after having spent time living in Orlando, Fla. According to Kerr, both have a strong Celtic background. Kerr learned to Irish dance in Florida. Saint Patrick’s Day, also called the Feast of Saint Patrick, is traditionally held March 17 and serves as a religious and cultural celebration recognizing the death date of Saint Patrick. The Christian feast day is observed by the Catholic Church, the Eastern Orthodox Church and the Anglican Communion Church to remember the introduction of Christianity in Ireland and Irish culture. Beth Sergent and Dean Wright contributed to this article.